Dragonflies are warm weather insects by and large, so you really only see them when it’s warm enough to boost the water temps a bit and encourage the nymphs to emerge. It’s been sufficiently warm just long enough, in spite of how early it is, that damselflies are starting to make an appearance for the year. I also like the warmer colors of the background of this photo, which I think contrasts nicely with the cooler colors of the damselfly and the cattail. 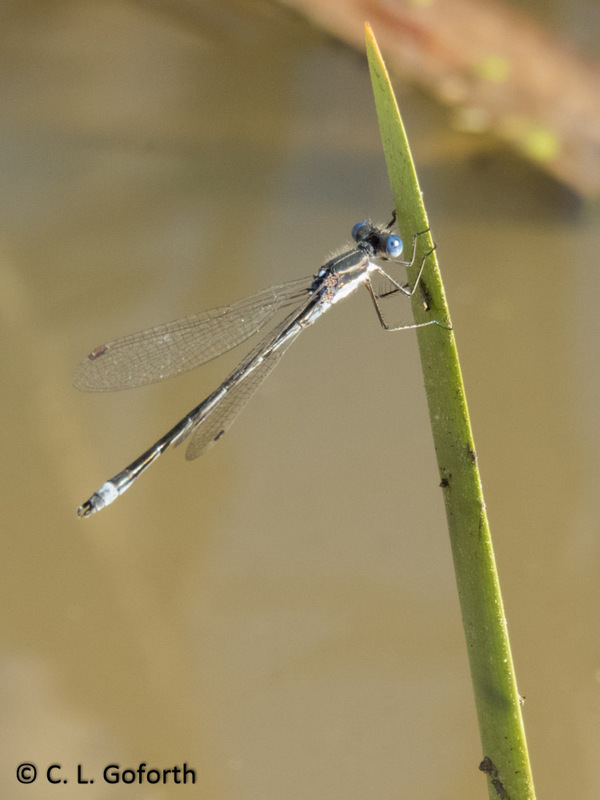 I am not 100% sure on the ID for the spreadwing damselfly above, but I believe it is a southern spreadwing. They’re very common and smaller than most of the other spreadwings you might find in my county in North Carolina. Unlike the damselfly I shared yesterday that is very easy to identify, the spreadwings, at least in the southeastern US, all look about the same and can be hard to identify without catching one and taking a close look at its undercarriage. You can see in the photo where the spreadwings get their name though! Most damselflies hold their wings pressed together over their backs at rest, but spreadwings hold them slightly apart. These are also quite large damselflies and the family includes many of the largest species in the US. It’s going to cool down a bit this weekend before the temperatures soar next week, so it will be interesting to see what impact the cooler weather has on the early spring! i LOVE the lessons and pictures – thank you!! I’m so glad! I don’t normally post quite this often – I’m lucky if I get three posts up a week – but if you like this sort of thing and you’re on Instagram, I am doing a 365 project this year with insects. I post a photo there everyday with a little bit of info about the biology of the insect in the photo. I’m bug_lover there if you’re interested! Which reminds me… I haven’t posted my photo for today yet! Off to do that now.